Eileen M. Duffy, author of Behind the Bottle: The Rise of Wine on Long Island, gives us the scoop on orange wines. 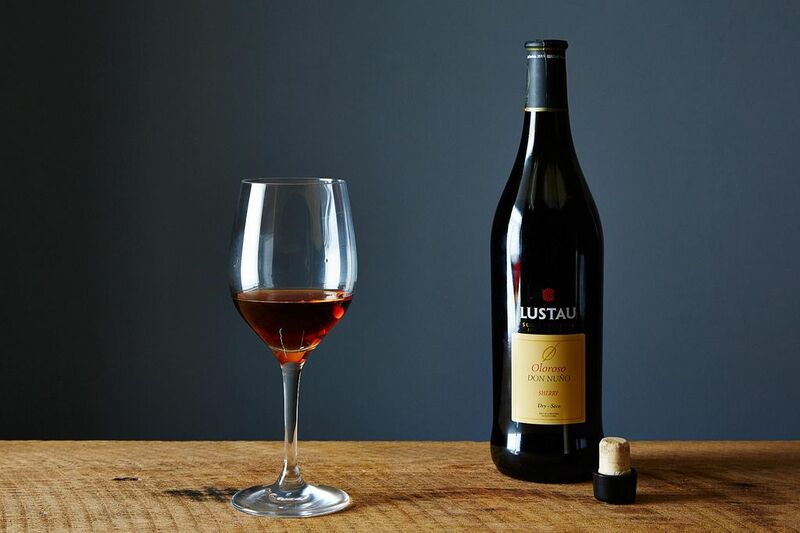 Chances are you already have a close relative of orange wine in your liquor cabinet—sherry. Over the course of one week, our Contributors Editor Sarah sipped orange wine at Roberta's, I noticed that the wine menu at another Brooklyn restaurant was divided into whites, reds, and "contact" wines (referring to grape skin contact during the wine-making process), and Quartz made the case for skipping rosé and drinking orange wine instead. Eileen M. Duffy, author of Behind the Bottle: The Rise of Wine on Long Island, shares what you need to know about buying, drinking, and enjoying orange wines. First, there are two types of orange wine: one that results from oxidation and another that is the result of contact with grape skins. Eileen explained the former: "Imagine you cut an apple in half, put it on the counter, and it started to turn brown—this is what happens with some orange wines and sherry. The sugars and enzymes react to the oxygen so that the wine exposed turns orange." Orange wines resulting from contact with grape skins, on the other hand, are "white wines that have been made from white grapes fermented with the skin on." So a "contact wine" is a white wine that has been fermented in contact with the skins—these are more ubiquitous on menus than oxidized wines. Contact wines have a distinct, slightly tannic taste, like what you get from red wine or a dark rosé. Eileen says that if you like sherry, chances are you'll enjoy orange wine, too. It's also slightly more acidic and complex than rosés, which means it pairs well with foods like cheese and meaty white fish—but Eileen stresses that it can also be enjoyed after dinner as what Italians refer to as a vino da meditazione, or a "meditation wine" to be sipped and contemplated over. More: Meet the other "it" wine of the summer—dark rosé. Convinced yet? If you're interested in trying orange wines, Eileen suggests the orange wine from Channing Daughters in Long Island. Otherwise, just ask your local wine store if they carry it. If not (orange wines aren't widely available yet), Eileen encourages you to ask for one at your local store anyway: "Chances are they've at least tasted them before and would be happy to find a customer base for them." 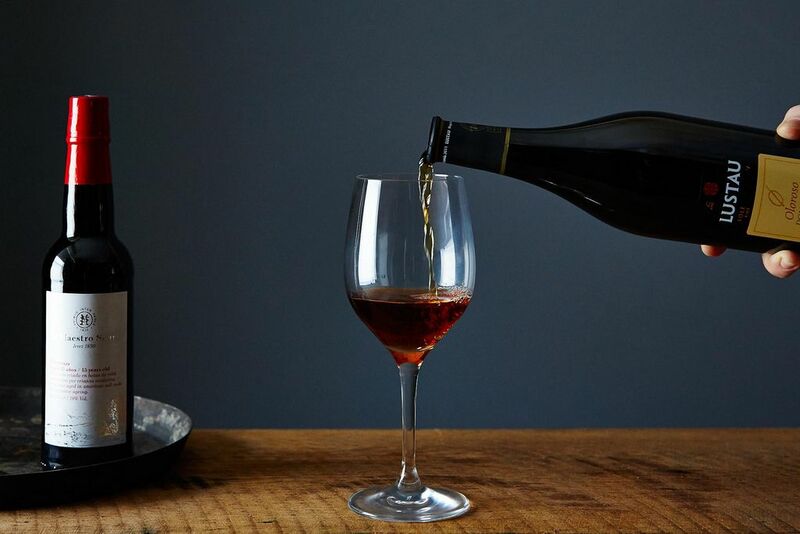 Once you've found your bottle, pour it at cellar temperature (a little cooler than room temperature but not quite chilled), and enjoy it with dinner, or on its own—either way, you can't go wrong. What's your experience with orange wine? Tell us in the comments below! Silly me! I thought this would be about wines made from oranges—which goes to show how midwestern I've become. Years ago I had a friend whose family had a vineyard in CA and one of their loveliest products was a dessert wine made from California oranges. My first and still favorite orange wine experience was the lunch wine special at an otherwise un-noteworthy canal-side restaurant in Venice in 2010. It was a biologico (organic) ribolla gialla from the Friuli-Venezia Giulia region. Ribolla Gialla is also grown in Slovenia. Everyone at the table ooh'd and aah'd at the amazing color and the intense flavor. I've never found a ribolla gialla in the U.S. that seemed as delicious, although in truth, they don't crop up much in stores or on wine lists, and when they do, only by the bottle, which are usually just a bit too expensive. Check out Channing Daughters! They have a ribolla gialla. Thanks so much for the tip. Alas, the Channing Daughters ribolla gialla is sold out! But they are several other orange wines, and one sounds particularly appealing to me. I recommend you all to try "Orange" of "skin contact" whites from the birthplace of orange wine the country of Georgia. Usually 6 month macerations with indigenous varietals often made in large clay jars, called "qvevri" buried underneath the ground. Best brands so far in the US Vinoterra, Orgo, Our Wine and Shalauri. Give them a try. Georgian wines are really starting to make inroads in the US. Good wine is about expressing varietal and place. Macerated wines are all the same regardless about where they come from and what varietal they are. Orange wine is not necessarily "orange," but it is similar in flavor to Sherry. If you like Sherry, you'll probably also like orange wine. Especially from the Jura. All orange wines are, in fact, orange—it's their one unifying characteristic, but there are several wines that share the same characteristics as orange wine even when they are not orange! We could also call them amber. The orange wine at Sinskey Vineyards in Napa is amazing and organic. I have a funny orange wine story. When my parents were dating, my father took my mother to a party where they drank orange wine. (My mother is not a drinker and probably drank too much.) When he brought her home, she proceeded to vomit all over the front porch. My father, a sympathetic vomiter, got sick, too. I think I'll pass on the orange wine!